For the first time in 7 years, the US Pro Championships has found a new home in Chattanooga, TN. Though I am sad to see it go, I can’t complain too much. First of all we did have the race in our backyard for 7 years straight and hometown hero George Hincapie garnered 2 wins during that time. Second, there are a lot worse and farther away places for the race to move to. Chattanooga is only about 4 hours from Greenville, on average. The last time I was there (for the last edition of the Tour of Georgia) it’s downtown was really starting to improve upon itself. I saw a lot of the same downtown Greenville transitions which gave me hope for them that their community will develop in the same positive note that Greenville’s has. I don’t consider myself a pessimist by any stretch of the imagination but I really have a hard time understating why a town as “hilly” as Chattanooga is, got the race. I remember the first year it was in Greenville and the organizers decided to put in a nice “climb” in the race that would help thin the field out after a few laps. That first year they scaled Paris Mtn 5 times before finishing in downtown Greenville. As a result, more than half the field complained that it was too tough because of the ascents up Paris. As a result, the organizers agreed to shorten the “big” laps over Paris to 4 times over, and increase the number of circuits on the streets of downtown. 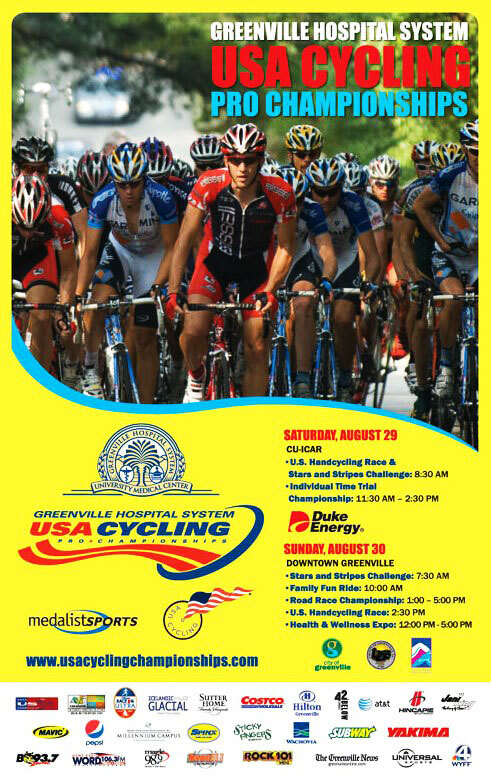 Now the race moves to Chattanooga, where there will undoubtedly be far more climbing than anything else, how many American riders are going to show up? As any race director will tell you, your race is only as good as the number of spectators you have show up. The number of spectators you have is a direct result of the caliber of a field you can produce. If you make the race too tough for anyone who is not a pure climber will most likely NOT show up. For instance, Tyler Farrar (arguably the best American sprinter in the pro peloton) got dropped the last time up Paris. So I can pretty much guarantee you he will be a no show for Chattanooga. Clemson vs Florida State showdown!